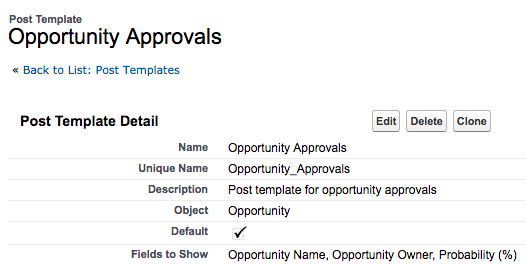 Approval post templates allow you to customize the content of approval request posts in an assigned approver's feed. Approval request posts are not private. 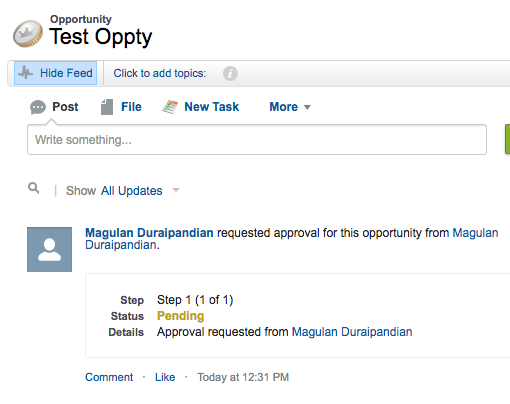 Anyone with access to the approval object can view and comment on an approval request post. 1. 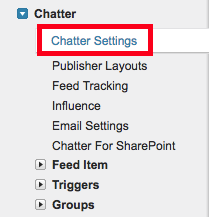 Go to Chatter Settings. 2. 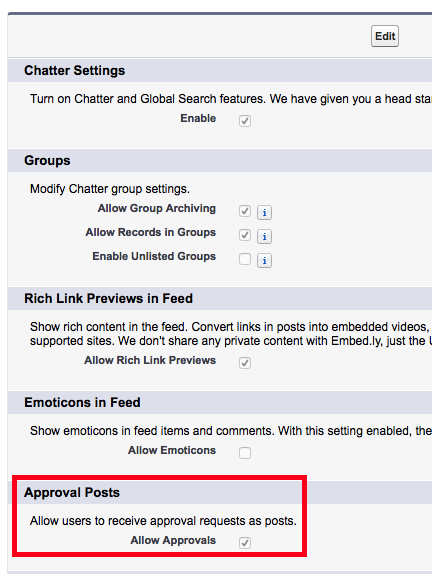 Enable Allow Approvals through Chatter. 4. Go to Post Templates. 5. Create a Post Templates. 6. 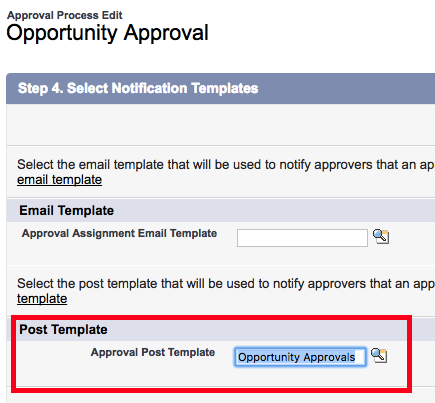 Select Post Template created in the Approval Process. 7. Post Template feed will be looking like below.